Hi, Chill fam. Chiller-in-Chief Cyndi Ramirez-Fulton here. We have big news to announce today, and we think you’re going to love it. But before I spill the beans, I want to begin by sharing why we decided to take this next step and how we hope it will not only enhance the company but improve your lives as well. When we began Chillhouse, we’ve always envisioned to build an oasis in the middle of the NYC hustle. From nails to massages to chill blends, we wanted our brick and mortar to be your final destination to help relax and ease your frame of mind. For the past year and a half, we’ve elevated our space to house some of the chillest events in the LES, hosted Matcha Mornings to energize your weekdays, and even made things digital by launching this little site right here, The Chill Times. For us, Chillhouse will and always be the one-stop shop for all your wellness needs. However, something was missing from the brand we’ve loved and cared for all this time. The only way you could experience true chill is if you came to us, until today… now, we’re coming to you. SHOP CHILL is the retail arm we’ve always dreamed of creating where we can continue to connect with you, our customers, through a personalized shopping experience that doesn’t require you to visit our LES shop in New York City. For the past few months, we’ve hunted the best products we could find to curate a site that houses goods that make you feel good. 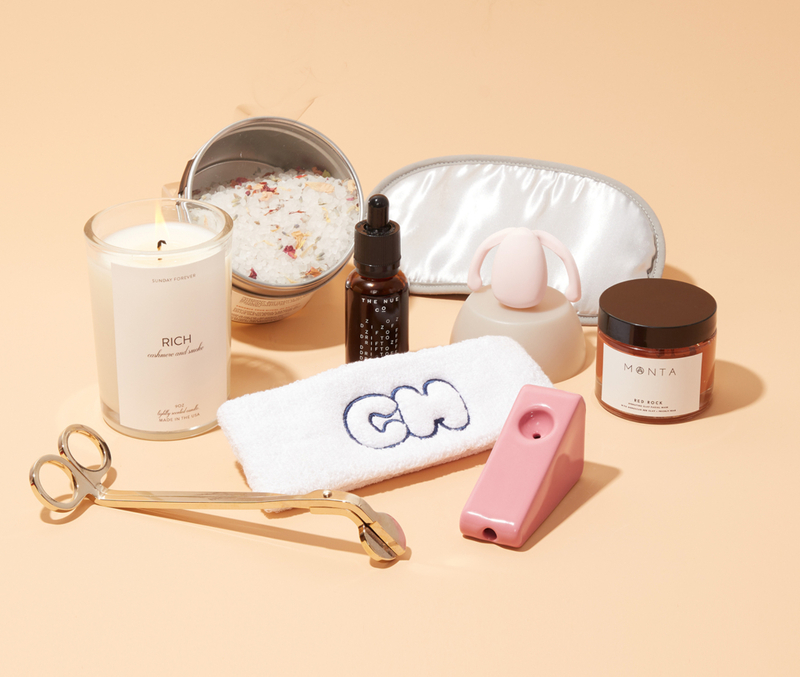 Whether you’re looking for your next all-in-one face mask or are in the market for chic accessories to make your home more relaxing, we’ve got you covered. Our mission is to make self-care and relaxation easy, enjoyable and attainable—after all, that’s what it should be. We promise to bring you the best products on the market that offer quality ingredients, an aspirational brand message, and digestible prices. Now you can come to us when you want to discover a new product you can trust, treat yourself with a service, or read some content about all aspects of your well-being—anything and everything to give you that needed break from the daily grind. Kick back and stay a while. We hope you love what’s ahead. We don’t claim to be experts in any one area of health or wellness — after all, what does it really mean to be an “expert” in this field? The process if so personal to each individual. However, we do believe self-care starts from the inside out and our mission with SHOP CHILL is to identify the products that support your daily goal to be kinder to yourself. 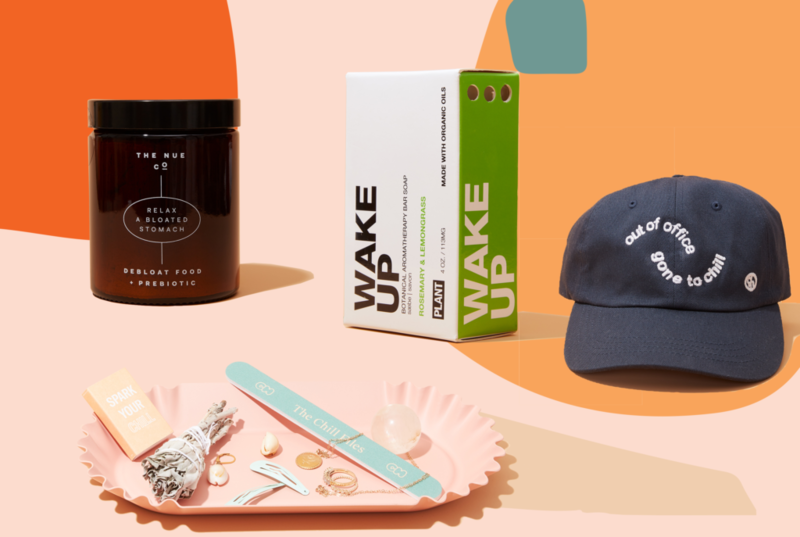 From ingestible products for your morning ritual to that bath salt that’ll cap off your night, we’ve combed through hundreds of products and have identified some of our favorites. Our SHOP CHILL team is small but mighty and we approach the products on our desk with different insights and needs. Our skin is different, our taste is different, and our budgets are different. With that in mind, we reviewed each and every product stocked on our site with a scrutinizing eye. Our process started with a few pillars: Does it serve a daily need? Does it uplift you? Is it made from quality ingredients? Does the brand have an aspirational mission on its own, and do we want to use it ALL. THE. TIME? Some products didn’t make the cut, however, these products made us feel really damn good—both from the inside out, and the outside in. Over the past few months, our love for these products has grown and we hope you grow with us in this next chapter of Chill. With the launch of SHOP CHILL, we wanted to provide an easy process for you to find products you will love and work for your skin, your home, and your life. That’s why we’re also launching The Approvers: five members of the Chillhouse fam will provide insight on all things SHOP CHILL from their personal perspectives. Have dry skin? Tummy issues? Love binging tv shows all weekend long? Hey, we do, too. So if you’re ever in search of the perfect product to make your life a little easier, make sure to come hang with us via The Chill Times and on the ‘gram to get your weekly recommend dose of products that will perfectly work for you and make you feel good. Because at the end of the day, we promise to heavily test everything with the Chillhouse team and report back. We promise to love the products we suggest, and we promise to keep it real with you, always. Consider all of it, CHILL APPROVED. Make sure to check Chillhouse’s feed this week to meet The Approvers and to get your daily dose of chill.